This little gem is a collection of letters between struggling New York writer Helene Hanff and Frank Doel of Marks and Co. booksellers at 84 Charing Cross Road, London. Hanff first writes to Marks and Co. after she sees their ad in the Saturday Review of Literarture in 1949, thus beginning a twenty-year 'pen friendship'. Their correspodence starts off in a businesslike manner, addressing each other as 'Gentleman' and 'Dear Madam'. However, Hanff's brashness and informality soon has Doul to 'Dear Helene'. As the book progresses, we learn about Hanff through her distinctive taste in English literature. At first her feistiness is somewhat intimidating, but she soon reveals a romantic, funny and very generous personality. When she discovers that the British are still on post-war rationing, Hanff sends gifts of food packages, not only to Doel but to his family and the rest of his staff. They in turn send her beautiful rare first editions. 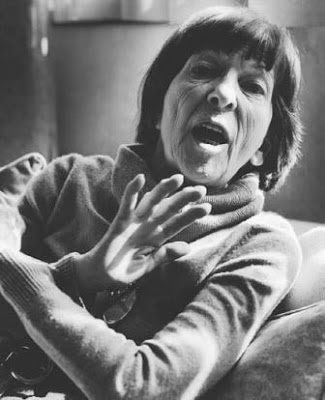 Helene hanff was immeasurably enriched by her friendship with Frank Doel. He became a personal link to the London of her beloved authors that she would only ever dreamed about. And, in turn, her goodwill, humour and glimpses of New York life added sparkle to Frank's daily routine. There is a bittersweet ending to this story.Frank dies and the shop is closed down by the time Hanff is finaly able to visit England. Ironically, it is the publication of the letters (with his wife Sheila's approval) that enables Hanff to make the transatlantic trip, described in her next book, The Duchess of Bloombury Street. 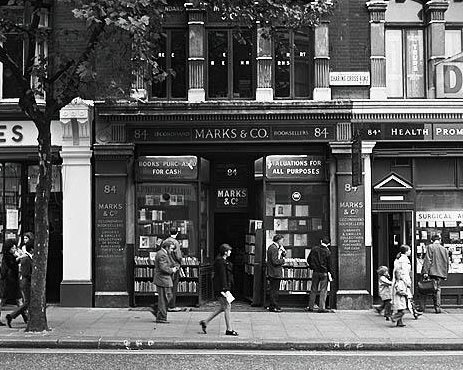 84, Charing Cross Road is a tale of a very special relationship, and a must-read for anyone who cares about books. In 1987 film version, starring Anne Bancroft, Anthony Hopkins and Judi Dench, is a must-see. It is the loveliest old shop straight out of Dickens, you would go absolutely out of your mind over it. There are stalls outside and I stopped and leafed through a few things just to establish myself as a browser before wandering in. It's dim inside, you smell the shop before you see it, it's a lovely smell, I can't articulate it easily, but it combines must and dust and age, and walls of wood and floors of wood. Towards the back of the shop at the left there's a desk with a work lamp on it, a man was sitting there, he was about fifty with a Hogarth nose, he looked up and said "Good afternoon" in a north Country accent and I said I just wanted to browse and he said please do.